End of January adventure much closer to home | Who Da Thunk? Adventure Tuesday came quickly following the Adventurers return to the country. And truth be told, they probably would have passed on it. 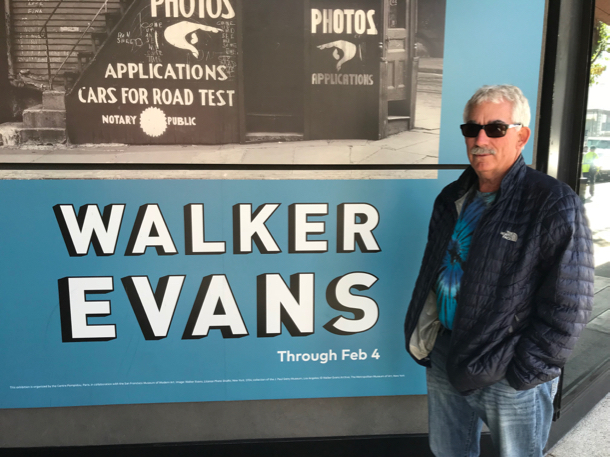 But the Walker Evans exhibit that L wanted to at MOMA was closing at the end of the week so off they went. They viewed the extensive Evans exhibit first. And truth be told, it was a bit exhausting it was so comprehensive. Then it was on to another floor to see the Robert Rauschenberg exhibit. 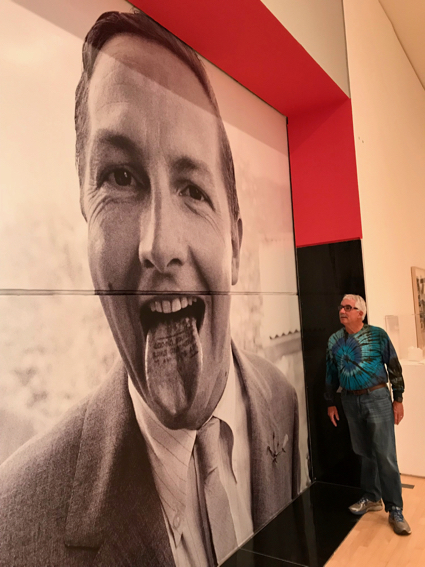 What was interesting about both – and in particular, seeing them the same day – was that Evans was a photographer who also painted (and collected) and Rauschenberg was a painter that also took photos. All in all, they enjoyed the painter’s work more. Lunch was the next order of the day and they got in line with dozens of others at the nearby Grove, one of a number that are in different neighborhoods in the City. Lots of food to choose from, and every dish that was delivered next to them looked delicious. This entry was posted in Bay Area adventures and tagged San Francisco Museum of Modern Art. Bookmark the permalink.